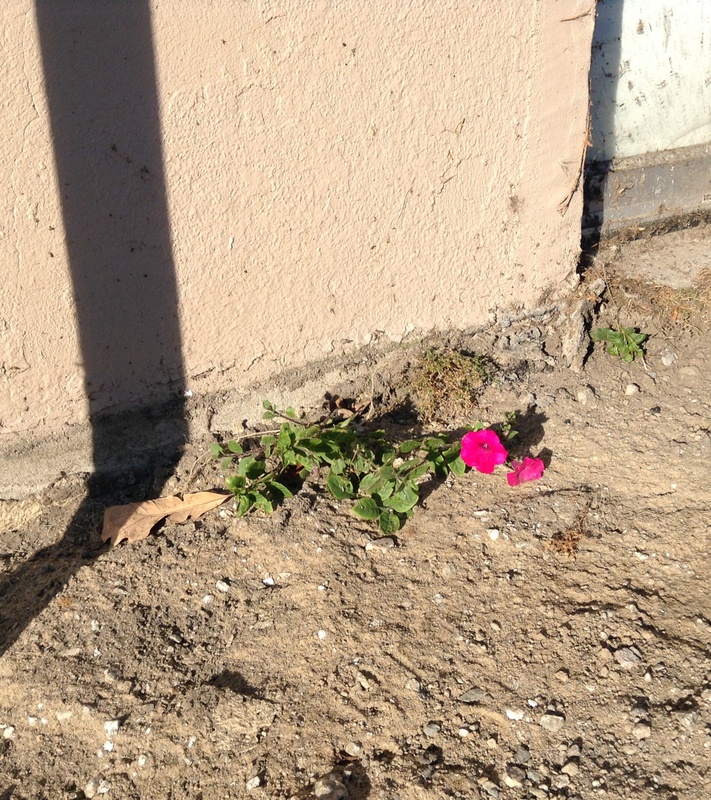 Last week I saw a colourful and happy petunia growing between a cement wall and the concrete sidewalk. 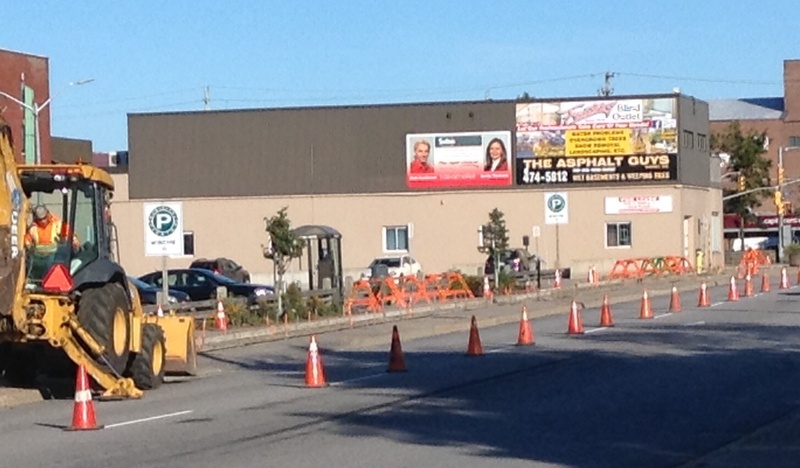 Not having my camera at the time, I went back later and found the whole sidewalk under construction. I momentarily grieved the loss of these tenacious flowers. But, to my delight, in the midst of all the noisy digging and construction, there she was blooming, even brighter in the turmoil going on all around her. 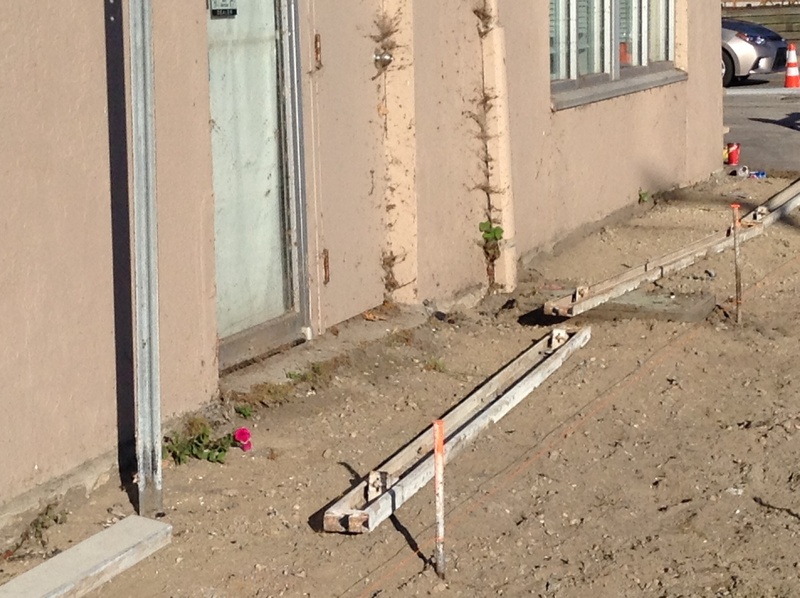 This entry was posted in splashes and tagged concrete, love, petunia, Psalm138, turmoil. Bookmark the permalink.